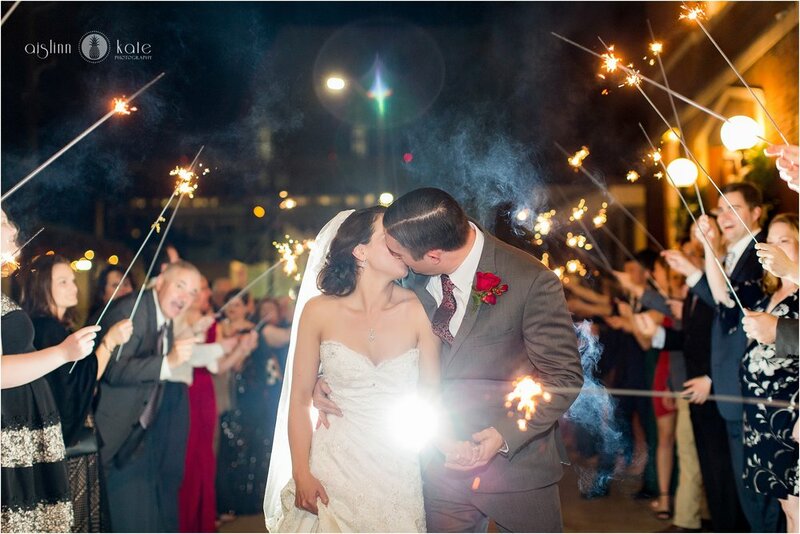 I have spent much of my winter wedding season this year in Mobile and it has been such a pleasure. 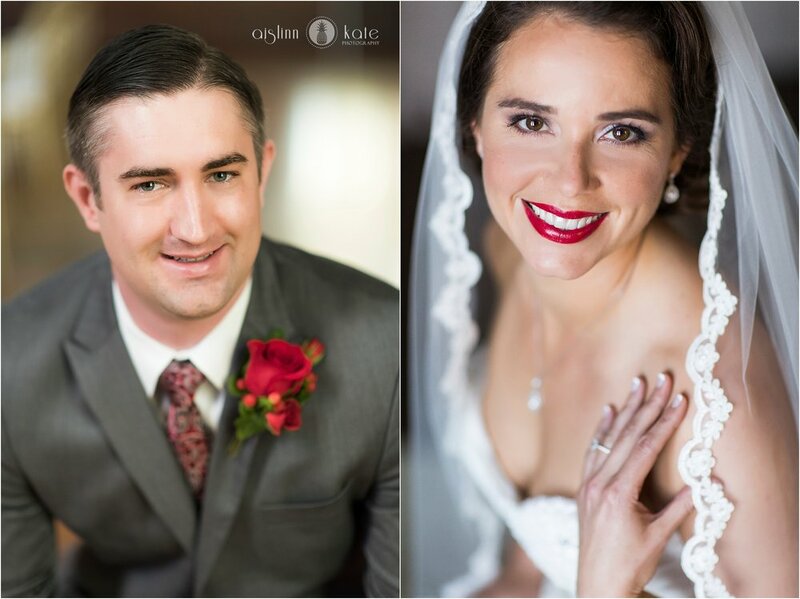 Rachael and James had an amazing wedding at The Steeple in Downtown Mobile, which has fast become one of my favorite downtown Mobile wedding venues. 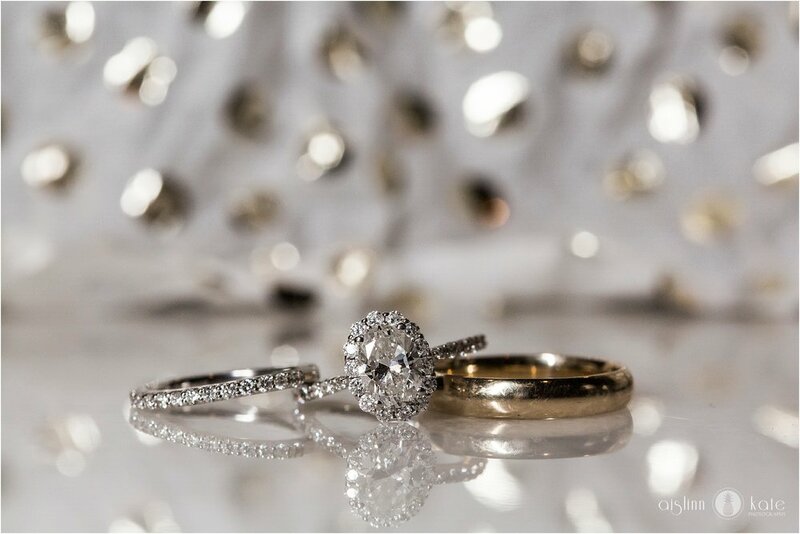 The Bellingrath Parlor is beautiful and has the perfect light for a classic bridal portrait (our favorite here at AKP! 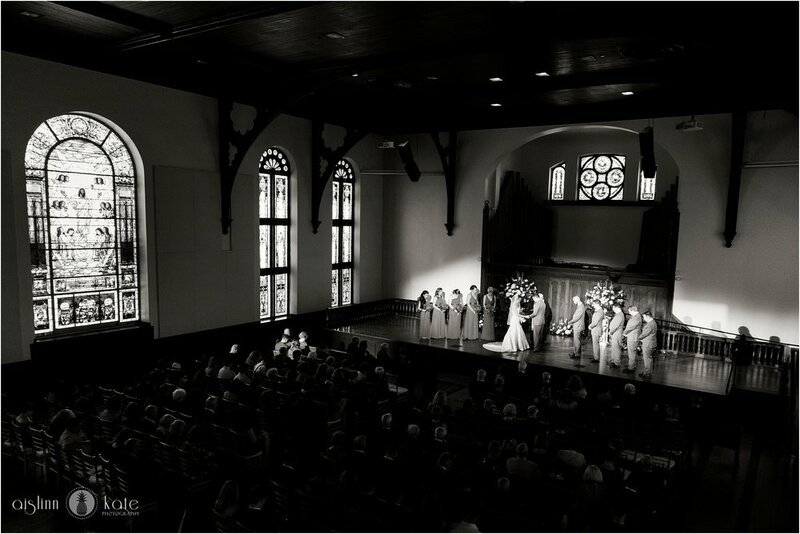 ), the stained glass throughout the building is stunning, but my favorite thing about the space is that there is that it can accommodate both ceremony and reception. 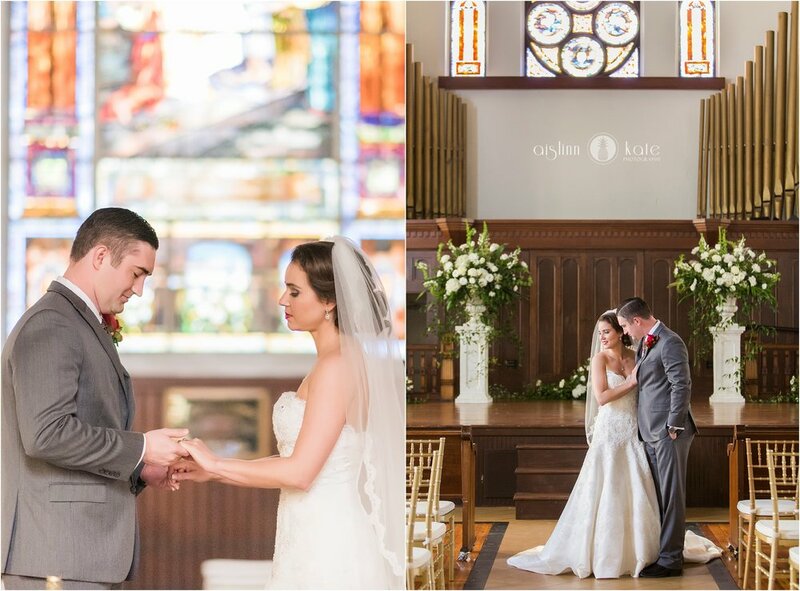 Rachael and James chose to flip the Main Hall from ceremony to reception while their guests enjoyed a cocktail hour in the 1895 room, and their fabulous vendor team pulled it off flawlessly in just 45 minutes. With dramatic red up-lighting along the perimeter of the space, a beautiful four tier cake set on the stage as a perfect focal point, and gorgeous flower arrangements full dripping in classic red roses – the room transformation was absolutely incredible. 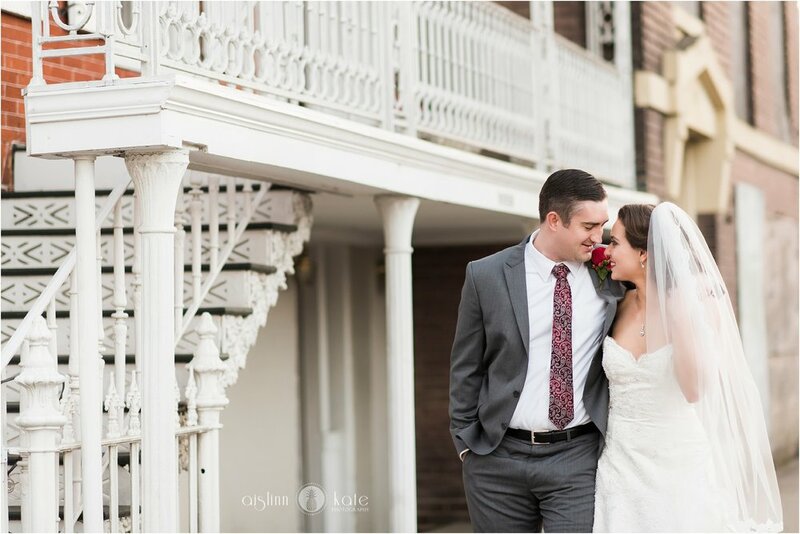 Rachael and James, thank you so much for allowing us to witness and document your wedding day! We loved spending the day with all of you in this amazing historical space!! Principal Photographer: Tiffany | Second Shooter: Rachel O.